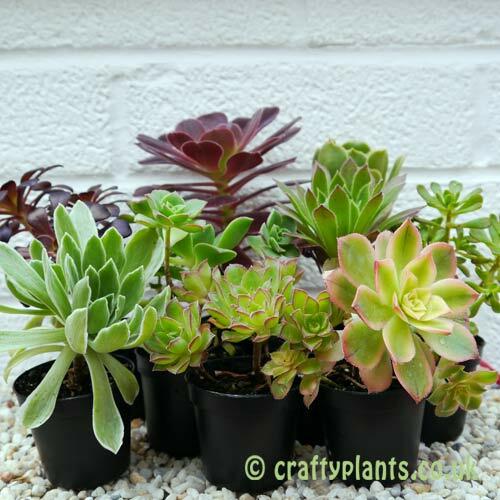 A mixture of 9 Aeoniums supplied in 5.5cm pots. Aeoniums make great container plants. 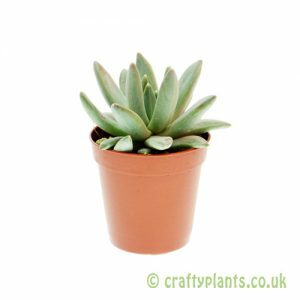 They’re not particularly frost hardy, so are best treated as a houseplant in most areas of the UK but can be moved outdoors for the summer. 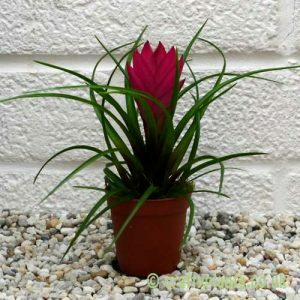 In very mild areas, the plants can be grown as a garden plant. 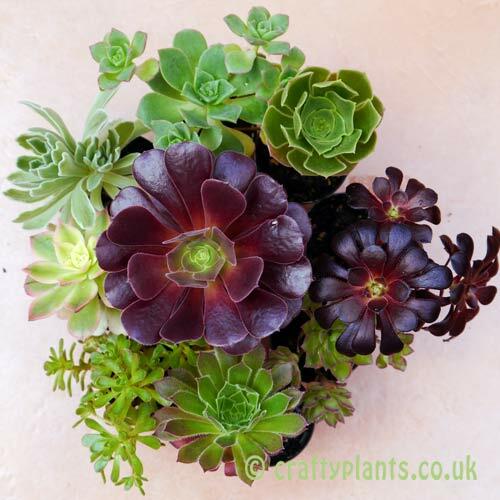 Aeoniums prefer to be planted in quite free draining, moderately fertile compost and benefit from an occasional feed in the warmer months. Native to Africa, Aeoniums can reach upto 2m in height, but are generally more compact when container grown. 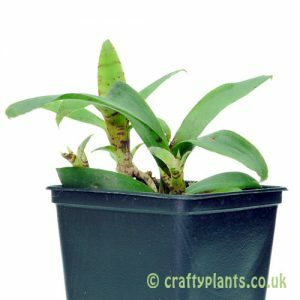 The height can be further restricted by removing the terminal rosettes, this encourages the plant to produce more rosettes along the stems resulting in a squatter, more dense plant. 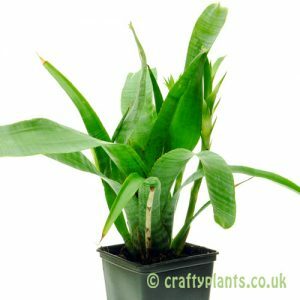 The plants supplied may vary from those shown in the pictures due to seasonal availability but we will always ensure a good mix of plants.